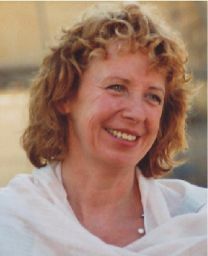 Dr. Sibylle Meyer, PhD, is the founder and managing director of the SIBIS Institute for social research and project consulting. Dr. Meyer is an expert in the fields of technology, gerontology, family and women studies as well as the qualitative analysis of peoples’ everyday lives and routines. She has been investigating changes in household and family structures since the 1980s and applies her extensive knowledge thereof to analyses of technology and future research. Dr. Meyer has specialised in studies of technology acceptance, user demands for future technologies and the impact these technologies have on the family, social relations as well as wider social structures. She advises leading companies from the electrical and consumer goods industry, construction and housing companies as well as information and communication firms. Furthermore, she has offered extensive consulting services to associations, research institutes, service companies as well as foundations, and federal and state ministries. Profound experience and an extensive database from basic research, gathered in university contexts or through funds of federal ministries and EU programmes, underlie this applied research and consultation. She combines her acquired expertise and technology know-how with knowledge about the motives and interests of technology users. Her additional psychological and therapeutic qualifications allow her to recognise and discern the unconscious reservations and fears of future customers or clients.